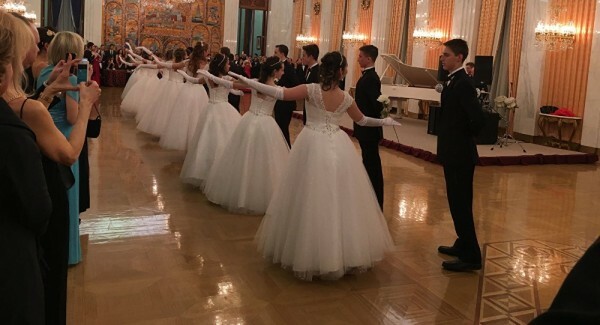 The Russian Orthodox Cathedral of St. John the Baptist collected some $30,000 for charitable needs during Tatiana Ball hosted by the Russian embassy in Washington, DC, according to Archpriest Victor Potapov. WASHINGTON (Sputnik) – The Russian Orthodox Cathedral of St. John the Baptist has raised tens of thousands of dollars for charitable needs at Tatiana Ball hosted by the Russian embassy in Washington, DC, Archpriest Victor Potapov told Sputnik. On Friday, the embassy brought together some 350 guests from Russia, the United States and other nations to celebrate so-called Students Day, also known as Tatiana Day named after the patron of students. The celebration featured traditional music and opera singing, as well as a ball and a dance party. “We are very grateful to [Ambassador] Sergey Ivanovich [Kislyak], to the embassy, because they offer us such beautiful space and help to organize the event,” Potapov, one of the ball organizers, said. The archpriest explained that the church has a charity fund and all proceeds from the ball go to people in need. The raised money is allocated to different charitable projects of the Russian community in the United States and abroad, he added. Asked how much money was collected at the event, Potapov said that, according to a rough estimate, some $30,000 was raised, but around $5,000 would go to organizational expenses. In 2015, a large portion of proceeds was sent to the Donetsk charity fund “Dobrota” for children who have become victims of war in eastern Ukraine. This year, the church plans to donate to “Dobrota” again. Potapov added that they have already spent some money in advance payment to help a Russian family from St. Petersburg residing in Baltimore, whose daughter has brain cancer and has become blind. Tatiana Ball was held at the Russian embassy in Washington, DC, for the second time with support of Ambassador Kislyak, who promised to continue the tradition. Tatiana Day was originally established in 1755 when Empress Elizabeth, daughter of Peter the Great, signed a decree establishing a University in Moscow. In modern times, the day has become widely celebrated by millions of students in Russia, marking the end of winter exams and the start of a two-week winter break.